Tough choices: Rats take various paths through a maze from a starting point (blue) to the finish (black). With practice, they learn to choose efficient routes (orange) over roundabout ones (gray). 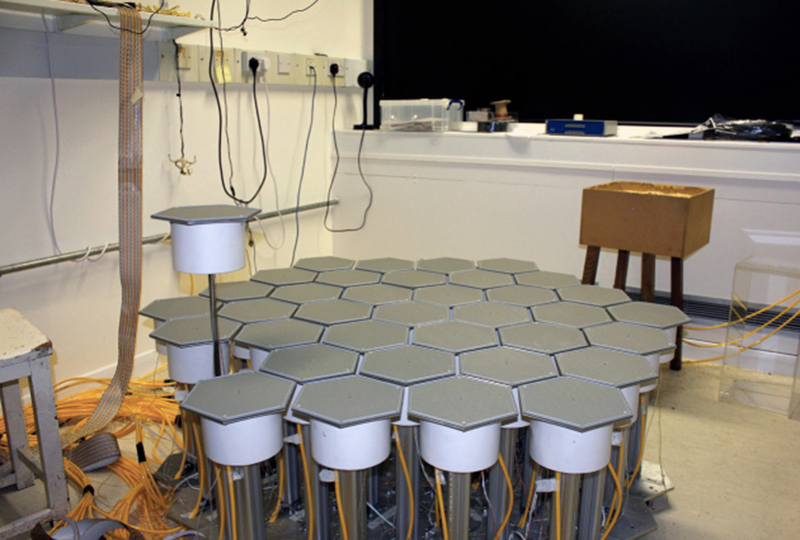 A newly developed maze comprising 37 hexagonal platforms may offer researchers an accurate measure of rodents’ ability to navigate their surroundings1. 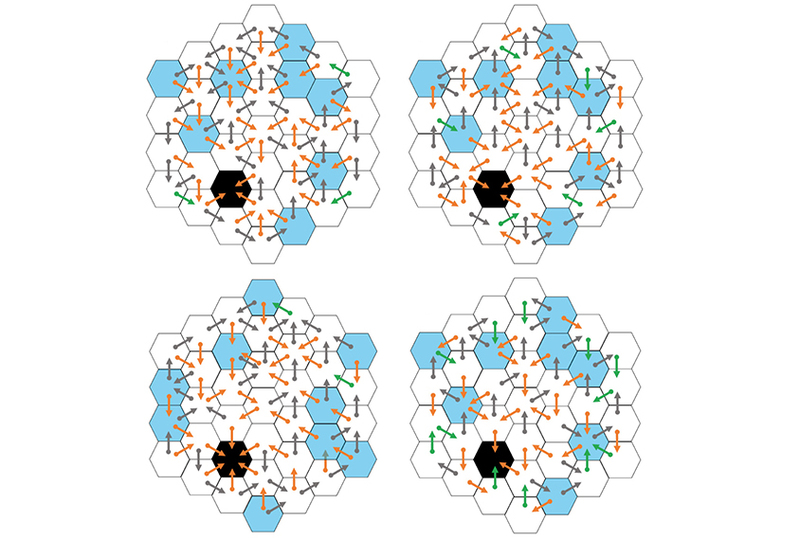 The design, which resembles a honeycomb, could help researchers better assess the animals’ spatial skills and study their hippocampus, a brain region involved in learning and spatial memory. Problems in the hippocampus are associated with cognitive difficulties, including those that often accompany autism2,3. The gold-standard test of rodent spatial memory is the Morris water maze. In that test, a rat or mouse must locate a submerged platform in a tank of water. But the test’s open format makes it difficult to determine whether an animal reaches the goal intentionally or by chance4. The presence of water also essentially rules out the use of electrical devices to observe the rodents’ brain activity. The new test does not involve water. It also gives researchers a finer-grained way to assess navigational abilities, because they can record the choices rodents make along their route. And the test’s format makes it easier to gauge whether a rodent succeeds by luck or skill. Rise and shine: Pressurized air tubs underneath platforms in a honeycomb maze allow the platforms to be independently operated. In the test, a rodent begins on a platform elevated above the rest of the maze. Two of the six surrounding platforms are also elevated, forcing the rodent to choose one of those two. One of the options provides a more efficient route to a reward (a single Cheerio, a breakfast cereal). Once the rodent scurries onto its chosen platform, researchers lower the remaining ones and raise two others, offering new choices. The animal continues receiving choices until it reaches the ‘goal’ platform, where it receives the edible reward. The Cheerio platform is always in the same spot. After 28 trials, all the ordinary rats learn to reach it by the most efficient route. By contrast, rats with a damaged hippocampus are slower to make decisions and take the best route less often. The results were published 1 February in Nature. The researchers plan to expand the maze to 61 platforms, says lead investigator John O’Keefe, Nobel Laureate and professor of cognitive neuroscience at University College London. A bigger maze would allow the rats to reach the goal platform in multiple trials without repeating routes, so researchers can see whether the rodents memorize the location of the Cheerio. O’Keefe’s team also wants to test the navigational abilities of mouse models of brain conditions.